I’d like to reveal something many processors wont or, may not be familiar with. Level 3 processing for commercial cards can lower your cost of accepting B2B and B2G credit cards by up to 1.5%. Most businesses have been conditioned to focus ONLY on rate when comparing different processing options. Have a low rate is definitely important, but roughly 80% of your fees (interchange) goes right back to the bank that issued the credit card. Lower your (interchange) cost of accepting B2B & B2G credit card transactions! Level 3 processing for commercial cards qualifies your commercial and government transactions at lower interchange rates. Commercial cards are the only cards you accept that have 3 different interchange rates. Your transaction qualifies at level 1, level 2 or level 3, before your processor applies their processing fee. If you Do Not Participate in Level 3 processing for commercial cards, you will always pay roughly 1% more in interchange than the best rate a processor can provide. In previous blogs/videos I go into more detail about level 3 processing. 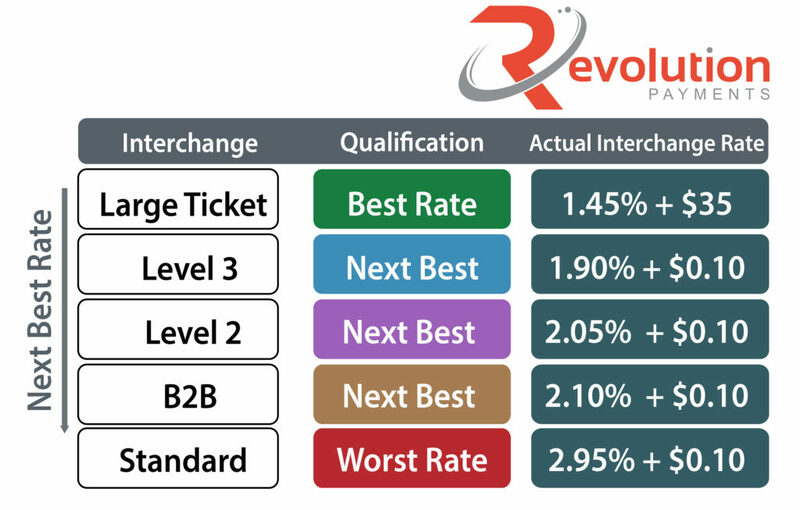 In a nut shell- B2B and B2G transactions fall into one of three interchange categories; Level 1, 2 and 3. The higher the interchange level, the lower the rate. Even if a processor is honestly trying to do a good job for you (Most Do), accepting commercial cards w/o level 3 detail, your losing about 1% of potential revenue that has nothing to do with your rate or your processor. Remember, banks issue credit cards because they earn interchange back, each time someone uses one of their cards. When you accept a commercial card without level 3 detail the interchange cost for this is roughly 1% more. Level 3 processing for commercial cards adds a large chunk of interchange revenue to your bottom line w/o having to increase your sales volume.